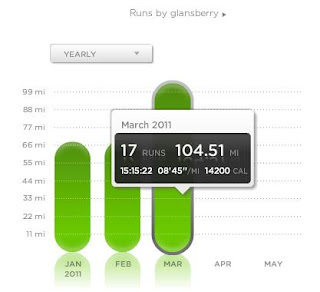 I accomplished something today that I have never done before on two feet: I’ve logged over 100 miles this month (and I still have one more run left tomorrow)! I have achieved this fete before on a bicycle (and in my car) but never imagined running distances like this; I am truly amazed, thankful and blessed….. Unfortunately I feel pretty miserable now and cannot stop sneezing! My sinuses feel like they are on fire and my lungs are cold. I am going to celebrate tonight’s milestone with 1.) a wonderfully cooked dinner: a huge plate of garlic spaghetti (wife’s family recipe). 2.) Hot bath. 3.) And go to bed early….. 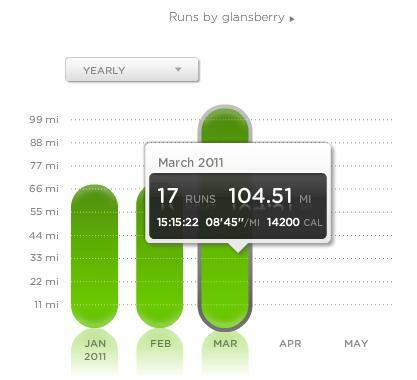 First-ever month with over 100 miles running!